The Photography of P.H. Polk and Chester Higgins Offers a Glimpse of Black History | Arts and Culture | Style Weekly - Richmond, VA local news, arts, and events. 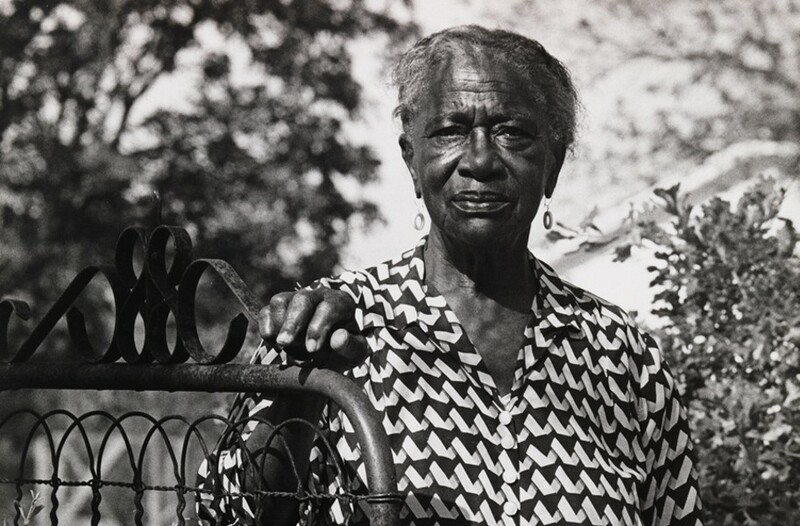 Virginia Museum of Fine Arts, National Endowment for the Arts Fund for American Art “The Artist’s Great Aunt Shugg Lampley,” photographed by Chester Higgins in New Brockton, Alabama, 1968. A woman stands at a garden gate looking out at a 22-year-old photographer with a mixture of familiarity, composure and tolerance. The result is a masterful play of patterns: The diagonals of her patterned dress, the delicate shadows of the gate on her white apron and the dappled leaves on the trees behind her combine to create a powerful image of a woman probably unused to being photographed. It was 1968, the same year Chester Higgins got his first camera and set out to photograph people he knew in a way that represented them as dignified and portrait-worthy. The photo, "The Artist's Great-Aunt Shugg Lampley" was an early work taken in New Brockton, Alabama, where Higgins grew up. That image kicks off "Like a Study in Black History: P.H. Polk, Chester Higgins and the Black Photographers Annual, Volume 2," the second of four exhibitions the Virginia Museum of Fine Arts is devoting to the seminal four-volume anthology. The series, published between 1973 and 1980, was notable because it represented the first means to showcase black photographers, who had few options beyond the black press for getting their work out to the public. Launched during the heady days of the Black Arts Movement — a photograph of its founder, writer and playwright Amiri Baraka, is also in the exhibition — the series demonstrated that black photographers could artfully capture all aspects of life, not just inner city or jazz scenes. This second exhibition differs from the first in that it focuses solely on two artists rather than a wider representation of the annual's photographers. The annual's second volume continued to showcase emerging black talent but also developed its founders' mission with a commitment to recover, preserve and contextualize the photography of previous generations of black photographers. The exhibition's title comes from an essay written by the Black Photographers Annual's editor and publisher, Joe Crawford, who stated that a number of Tuskegee students had told him that "looking at the works of P.H. Polk was like a study in black history." While Higgins, who went on to be a staff photographer for the New York Times, had only one photograph in Volume 2, during a studio visit with curator Sarah Eckhardt, the artist strongly emphasized how inspirational the work of his mentor, Polk, had been in launching him on the path to a career in photography. 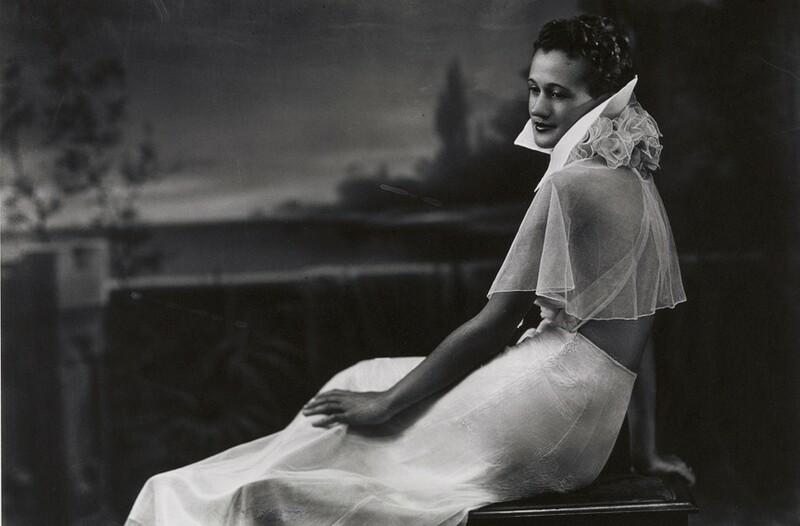 Mildred Hansen Baker, 1937, photograph by Prentice Herman Polk. Polk, who was the official college photographer at the historically black Tuskegee Institute, made his living doing studio portraits of Tuskegee's elite and middle classes, including images of Booker T. Washington and W.E.B. Du Bois. But he was also notable for seeking out people such as former slaves and tenant farmers eking out livings in rural counties nearby. When a small portfolio of Polk's work was printed in 1981, it caused ripples in the black art world. A younger generation of black photographers sat up and took notice of Polk's work. "They set about not only celebrating their history, but recovering and preserving these images from the '30s and '40s," Eckhardt says. "It was a period of time when they knew if they didn't preserve them, they would be lost. That's what enabled Polk to be known." The Polk photographs in the exhibition represent the complete portfolio published by Ohio State University in 1981 and their softly focused subjects are a nod to the pictorialist style in which the photographer aims to convey a mood or emotion rather than simply document reality. His "The Pipe Smoker" from 1932 shows an old woman in a ruffled bonnet that partially obscures her eyes, her head bent in concentration as she lights her long, white pipe with a match that illuminates only parts of her lined face. It has much in common with a Rembrandt portrait. "Like a Study in Black History: P.H. Polk, Chester Higgins and the Black Photographers Annual, Volume 2" through April 15 at the Virginia Museum of Fine Arts, 200 N. Boulevard.